Concord Monitor Believes Govt is Entitled To Our Money? The Concord Fishwrap has a piece from the AP on the tax package going through Congress right now with the loaded title: “Tax Package would lower top tax rate for wealthy Americans.” As if that’s all it does. Not that I am surprised – the CM is always the Progressive mouthpiece for Marxist class warfare (do wonder what the Publisher pulls down – most likely part of the 1%, but no matter – breaking eggs, omelets and all that). Here’s the line that caught my eye. Wow! So in printing this from the AP, the Concord Monitor wishes to leave the impression that the Government is GIVING a windfall to those that work and earn a lot? That it is taking money from others less wealthy to give TO the wealthy? A reverse Robin Hood? I guess I’ve been under the wrong impression all these years – that the money anyone earns is THEIRS. Their time, their labor, their skills – turned into Private Property / wealth. The Concord Monitor, however seems to want to redefine “windfall” to now mean that Government gives them that “windfall” money outright instead of the correct way in stating that the rich will just keep more of their money that they earned. Say, does the Concord Monitor, in its leftist leaning manner, believe that Government has first dibs – that our money really isn’t ours but belongs to thGovernment and that Government is ENTITLED to keep it? But then again, whatever might benefit the people and “disadvantage” the government is worthy of printing. It’s like airconditioning for your mind, these news outlets. This entry was posted in Media Bias, taxes and tagged Concord Monitor, Republicans, taxes. Bookmark the permalink. 4 Responses to Concord Monitor Believes Govt is Entitled To Our Money? How is “Tax Package would lower top tax rate for wealthy Americans” a loaded title? (I think the word you want is “headline.”) Are “Trump exaggerates the size of his inauguration crowds” or “Roy Moore is accused by multiple then-teenagers of sexual advances” loaded assertions or a statements of fact? I think that most people understand that taxation involves the government appropriation of individual or corporate income or assets. You’re not making a breakthrough in economic theory by pointing this out. Taxes, in fact, have been around for quite a while, since before any of us were even born. The tax cuts for the wealthy represent the biggest single issue of this tax bill in terms of policy shift and total dollars reallocated. That is why the headline is what it is. You’re welcome to impart whatever paranoid nonsense you want into the story. He is right. There is no windfall. Those citizens earning X dollars are going to have less of their wealth redistributed. I think you referred to this redistribution as “reallocation”. Yes, taxation has been around forever. Most of us do accept it. Most of us are paranoid about how government, local, state, and federal, utilizes our hard earned dollars. I live in Pembroke. I am experiencing local government(school system) mismanaging revenue and budgets. I just transferred a large amount of wealth to cover their error. That’s no longer paranoia, but reality. There is nothing paranoid about wanting to keep more of what we earn. Their is nothing paranoid about pointing out the way the article misleads the reader that the wealthy are receiving something. They are simply keeping more of something they already possess. The personal attack paragraph at the end of your comment was enlightening. Please point out how and where the article states or implies this in any way, shape, or form. Your plight in Pembroke has no bearing at all on the tax plan. Zero. 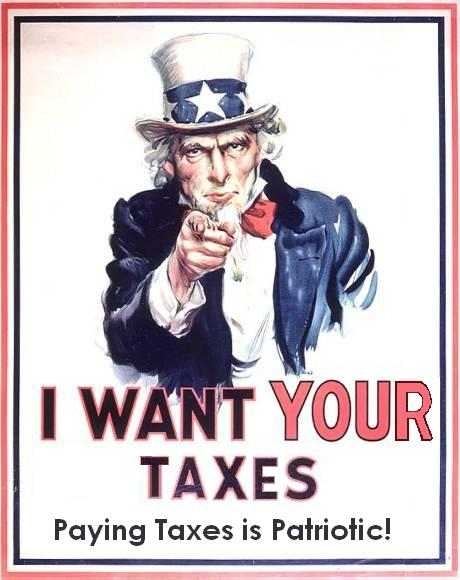 Taxes have to come from somewhere (you do want a strong national defense, right?) and all “tax reform” is nothing more than a shuttling around of the sources. A key ingredient in all of this is that Trump, lying as always, has claimed that the plan won’t help people like him (as in, people in his income bracket). Absolute nonsense. Also, there has been zero transparency at any step of the way with this. You’re OK with this, the government operating behind closed doors? Unless you’re a zillionaire or planning to be one soon, I don’t know why you would defend this crap.